Blend…. a word which is rare on this blog. 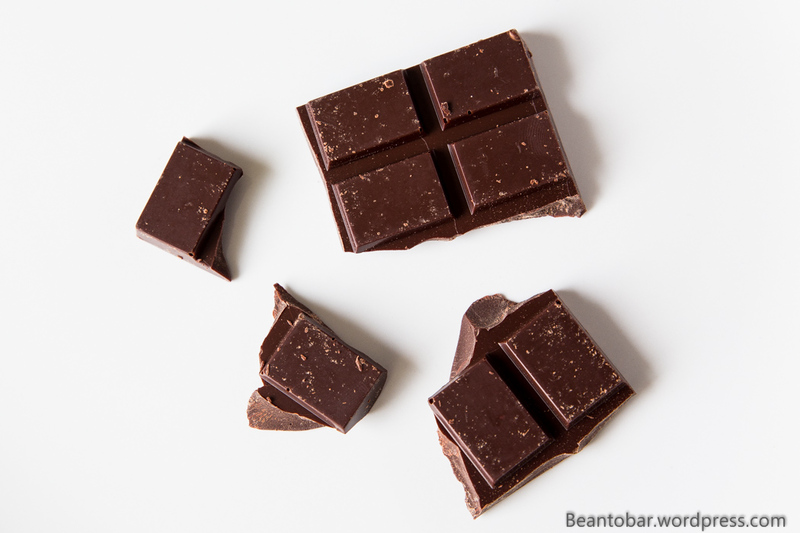 Ever since I started reviewing quality chocolate, I focused on Single Origin bars. Using cacao for a single country, region or even plantation. 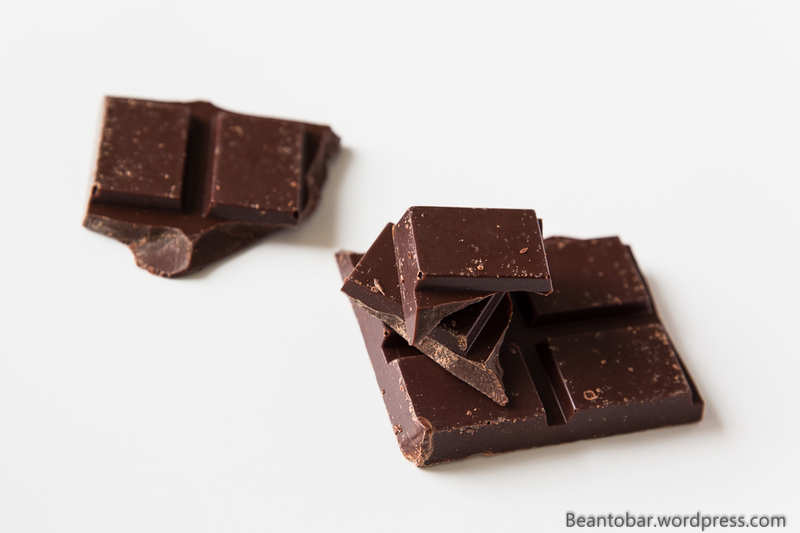 Today we experience a bar created with cacao from 4 distinct regions, all over the world. Venezuela (El Vigia), known for its refined Criollo cacao – Papua New Guinea and Java, countries growing cacao releasing smoked flavors and finally Madagascar, terroir of fruity cacao. These types of blend could be a masterpiece… or a flavor clashing party! I’ve tried another bar from Soma a while ago and judging on that experience I was pretty sure I was in for something good and special! This time around, it was a hefty 80 grams bar I received from Adrienne, my friend from New York. Unfortunately, the voyage totally broke the bar in 4 pieces. 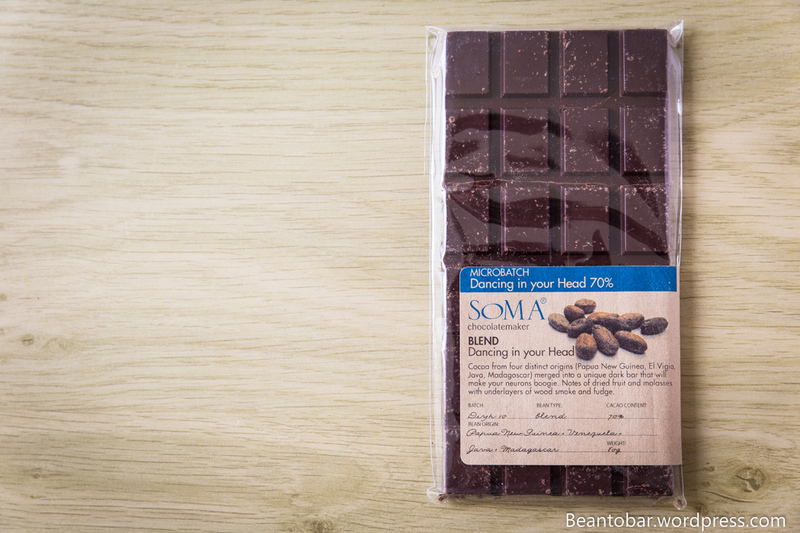 By sheer luck, Soma has decided to wrap this beautiful bar in a transparent cellophane. The label makes everything crystal clear. This chocolate will make the neurons in your head dance from pure joy! I like the sound of that! The bar is simply scored in small rectangular pieces, but it has such an amazing shine to it. Just by looking at it, you know this is well made chocolate. Taste: A hard snap. This chocolate has the hardest snap I’ve encountered in quiet a while. A good sign. It is opening swift and sweet with notes of brown sugar, molasses and roasted nuts. Followed by slight earthy tones and vibrant tobacco notes, slowly turning over to gentle yellow fruits reminding my of raisin and dried apricot and plums. A nice smoke aroma remains in the back of the mouth as the chocolate dissipates, turning to a great chocolate taste near the very end. The aftertaste follows the massive wave of chocolate, spiced up slightly and still reminding of the brown molasses. 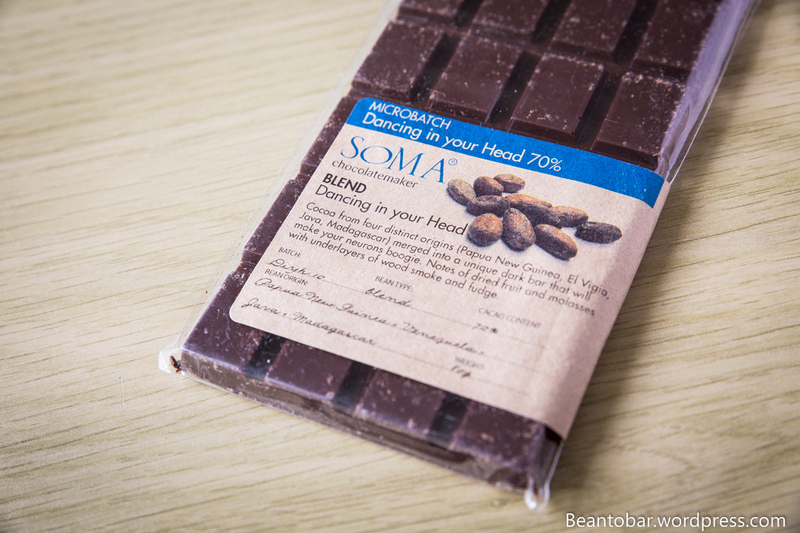 Soma managed to deliver a great bar made out of a blend of several origins. 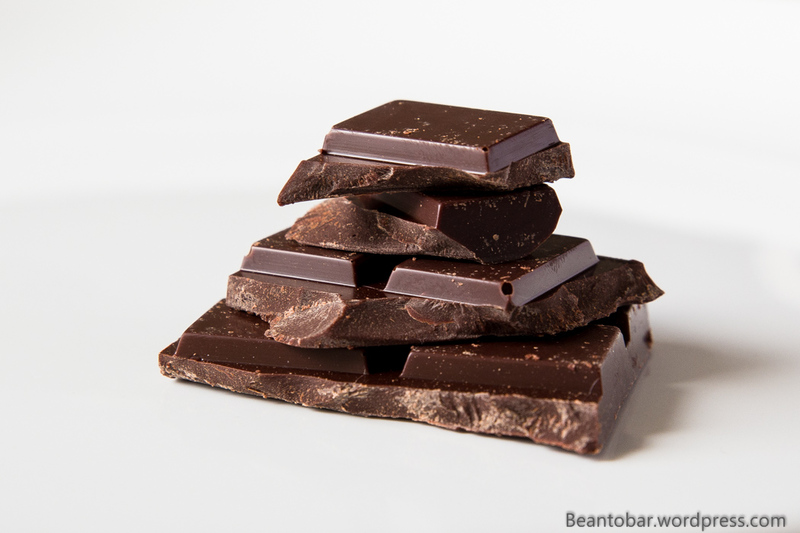 The bar itself shows numerous aroma’s, joyfully playing together and never clashing. The taste is just a harmony that takes you though several stages, from the sweet roasted start over an earthy tobacco middle part and ending with gentle fruits and smoke. The chocolate maker somehow captured the essence of every origin and allows the flavor tones to show through in the final aroma. This bar show that even blends can take chocolate to extreme heights compared to bulk chocolate. 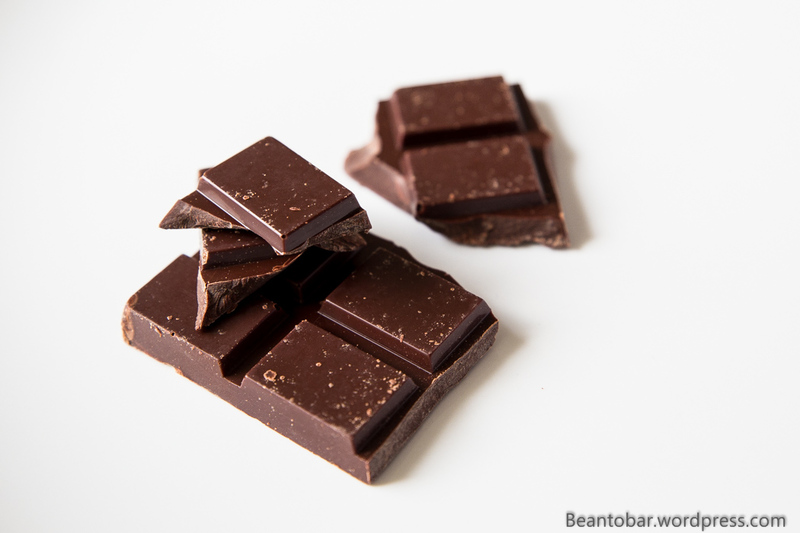 It’s on par with single origin bars and is simply delicious!